For money and wealth to flow into your life you need to use millionaire mind power in order to develop a prosperity mindset. The law of financial success isn't to be found in corporate law books or company accounts, it's ultimately found in the minds of those who use it to build wealth, either consciously or unconsciously. Financial success depends as much - in fact much more - on mental attitude than it does on who you know. Success thoughts attract success and wealth, negative thoughts and self doubt attract failure and hardship. This is a widely acknowledged and easily understandable truth, or, if you will, law. By developing your own prosperity consciousness through millionaire mind power you will find that the law of prosperity will begin to work for you and not against you. Ask yourself honestly what your current inner attitude to wealth and money really is. Do you feel negatively about it, in so far as you think that money is very hard to come by, that it's easy only for those who are "lucky" or have been born into wealth, and find yourself expressing that negativity through a combination of envy and a general dislike of the rich? The fact that some wealthy people have indeed acquired their wealth dishonestly and/or destructively is - in this instance - neither here nor there. The important point is that by harbouring a negative attitude to money generally you are in reality distancing yourself further away from the prospect of achieving financial independence for yourself. If you want to acquire wealth and financial freedom you will never do it by having a negative attitude towards it. No matter what your current circumstances are you have the ability within you - deep down - to acquire wealth and prosperity. Really all that needs to be done to get the process started is to make an adjustment to your mental attitude to money. If at present you're in a fairly reasonable position with a steady, decent income it will be easier and quicker for you. If on the other hand you're broke and in debt it will require more persistence and take longer but if you really want to succeed you will get there. There are several simple and basic techniques you can use to build a wealth and success mindset within you. What you're focused on is what you attract. If you train your conscious mind to focus consistently on success and wealth you'll find - sooner or later - that success and wealth comes to you, one way or another. Set aside a period of 5-10 minutes once or preferably twice daily, morning and evening for example, to relax in privacy, comfort and quiet, close your eyes and visualise yourself as being financially independent, living the life that you want to live, doing the kind of things that you want to do. Focus in particular on something close to your heart, for example travelling the world in style, or moving into a new and better property, whatever it is that you'd do with your financial freedom. Visualise in as much detail as you can, (this improves with practice) seeing yourself, other people, places, events etc with as much clarity as you can. And, importantly, visualise it with a feeling of it happening now, already, in the moment, and not as something you're hoping will happen in the future. Also put emotional feeling into your visualisation. Feel as if you are financially free. Feel as you'd feel, for example, walking into a five star hotel without a care in the world about the bill. What you're doing here with visualisation and millionaire mind power is impressing a new and more positive belief system into your subconscious. The subconscious doesn't "care" if something is real or imagined, if the mental imagery and the feeling of the visualisation is repeated consistently and has feeling behind it, the subconscious will eventually accept it as being real and true and will then start its amazing work of making the content and feeling of the visualisation real and actual in your life. Throughout the days - in between morning and evening visualisation sessions - use an affirmation like "I attract wealth and success." Do this verbally or mentally, whichever you prefer and is appropriate at the time. There's no need to try to force yourself to believe it, just keep repeating it at various times through the day and eventually the imagery and the feeling associated with it will penetrate the subconscious, further boosting your progress. Last but most definitely not least, use the power of hypnosis and suggestion to accelerate and strengthen the creation of the new mentality and attitude towards money and wealth that you're developing. A millionaire mindset comes about through millionaire mind power and the implementation and use of that mind power will be boosted considerably by hypnosis. 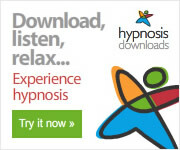 Following are details of hypnosis downloads designed and created specifically to build a wealth mentality. Ideally, if possible, you'd absorb this on a nightly basis just prior to sleep, though any quiet, private time would be suitable.